Ballooning is very weather dependent and your flight may be cancelled due to unsuitable weather conditions. Please call our office on 8562 3111 between 5.30 and 5.45pm the evening before your scheduled flight to check if the weather is OK and to confirm the meeting time. If you have any last minute questions about your hot air ballooning experience before you go, now is the time to ask. You will be talking to a human….not a machine! Your pilot and crew will meet you approx 1 ½ hours before sunrise (The time varies throughout the year) at Barossa Balloon Adventures home base. The address is 71 Stonewell Road, Nuriootpa, which is approximately 75km north east of Adelaide, South Australia. Once everybody is assembled and signed in, your pilot will give you a briefing before you board our comfortable 4wds all with forward facing seats and air-conditioning throughout. 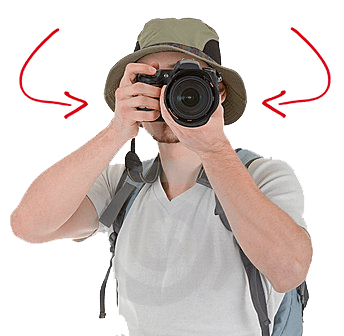 Don’t forget to bring your cameras as there will be some amazing photo opportunities along the way. The Barossa Valley is famous for having some of the most gorgeous landscapes in all of Adelaide. Now the adventure really begins. We will drive to the best launch site for the morning. The launch site is chosen according to the wind speed and direction. We have a dozen different launch sites around the region. We know it’s early but now is a good opportunity to get to know your pilot and crew and ask any questions you may have. Also watch as your pilot tests the lower wind conditions by releasing and tracking a party balloon filled with helium. Once we arrive at the launch site your pilot and crew will inflate the balloon ready for take off. You are welcome to join in with the preparation and discover how we get these huge balloons in the air. This whole process takes about 30-40 minutes. Jump on board, one last briefing and then it’s up, up and away! Wave goodbye to the crew, they will follow on the ground and meet you when you land. Time to relax and take in the amazing 360⁰ views. Experience the peace and beauty of floating over the country side as the sun is rising. You will fly for about an hour before landing. Once you have landed your crew will meet you and it’s time to pack the balloon away. Feel free to join in the fun, or stand back and take the opportunity to take a few more photos. Hop back in our comfy vehicles and it’s back to breakfast. The morning ends with a delicious Barossa breakfast back at home base. Our home base is for our own private use and is nestled in amongst the vineyards. Relax and chat with your fellow passengers and pilot about the mornings events, whilst sipping sparkling wine and indulging in the best Barossa produce. To wrap up we will present you with your Souvenir Balloonatic Flying Certificate. 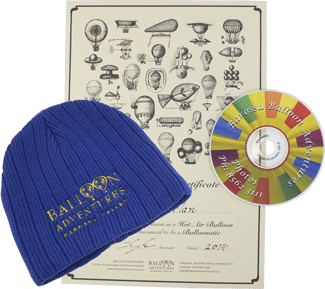 This is also a good opportunity to purchase the CD of Photos from your flight plus the Barossa Balloon Adventures Beanie, Cap, Stubby Holder and/or Calendar. Tour highlights include fantastic photographic views, an opportunity to actively participate in the inflation and packing away of the balloon, champagne breakfast, flight certificates and most importantly…an amazing ballooning and breakfast experience with fun and professional staff!! If your flight is cancelled by us for any reason (e.g. adverse weather – safety is our first concern and we will not fly if conditions are unsuitable). We will be happy to re-book you at your convenience or refund the full payment. Gift Vouchers are non refundable and therefore a re-booking must be made for a date prior to the expiry date on your Gift Voucher. Our maximum is 16, but sometimes we get to the weight limit of the balloon before we get to the 16 passengers. If you have a group larger than 16, give us a call to discuss options. We fly down wind for approximately an hour. On landing the balloon is packed away and the retrieve crew picks us all up. The whole time you are actually with us is between 5 and 6 hours – from the time we pick you up from the meeting point to the time we drop you back at that same meeting point. You should be able to bend your knees and hold on with both hands to the rope handles inside the basket. We DO NOT fly you, if you are pregnant. The Civil Aviation Safety Authority rules prevent us from carrying handicapped persons as defined in Civil Aviation Orders, Section 20.16.3. A camera is a must. Photographers just love it and its the best for scenic photos. Flat soled walking shoes, a hat, and reading glasses if you need them. A few extra dollars for souvenirs that are available during breakfast. Had an absolutely great time this long weekend on the Barossa Balloon Adventures. Had a very early start and it was freezing but nothing could dampen our spirits. From start to finish it ran like clockwork Justin and John were very friendly and made everyone feel at ease. Our basket had 10 people in and we all got on and had a laugh. The views are magnificent and photo opportunities are endless. We were up in the air for about 1 hour and landed in a farmers field about 10 kms from take off. We all had to ‘muck in’ then and help pack the balloon up which ended up being really funny!